Here are two great options for sensitive complexions. 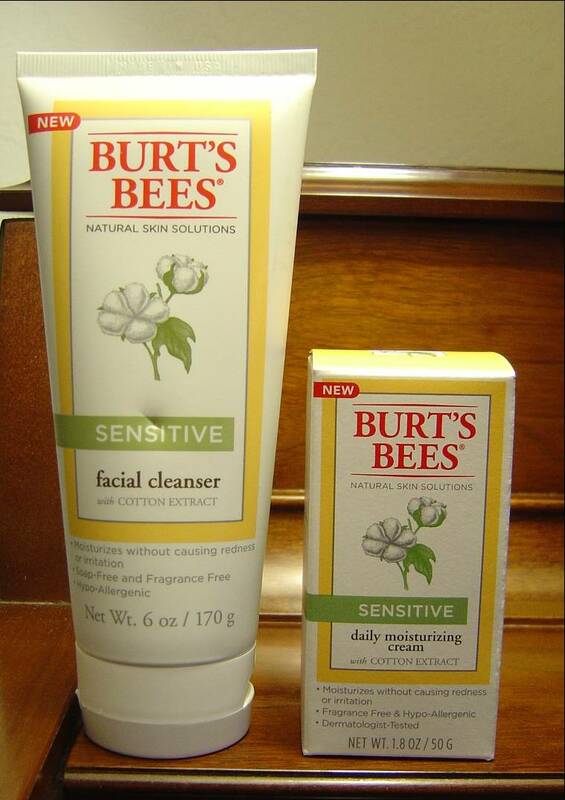 Being a BzzAgent, I had the opportunity to test two products from Burt’s Bees new line of Natural Skin Solutions for Sensitive Skin. I was sent the Facial Cleanser and Daily Moisturizer to try out on my face, which can sometimes be sensitive. This new line is different and very gentle with natural ingredients such as cotton, rice, and aloe in the formula to reduce the possibility of irritation. In fact, 99% of the makeup of these products are completely natural ingredients so you can feel good about what goes on and into your skin. The Natural Skin Solutions for Sensitive Skin Facial Cleanser has Quillaja, which is the natural foaming agent, and Yucca for cleaning in this soap-free way to wash away makeup and dirt while moisturizing at the same time. The Sensitive Daily Moisturizer won’t clog pores like some other products with mineral oil. This one uses rice extract to keep the face well hydrated and aloe for calming. I really liked these two new Burt’s Bees Natural Skin Solutions products and would love to try the rest of the products in this particular line. I highly recommend them to anyone with sensitivity or just looking for a great natural daily moisturizer and cleanser. Previous Post Are You Ready for Halloween?